Do you have turkey anxiety? If you're in charge of cooking the bird this year, let me help you select just the right way to prepare it. Using your oven is perhaps the most convenient (and cost-effective) method as you've already got one in your kitchen, you needn't buy a special cooking device (like a smoker, a barbecue, or an immersion circulator), and you can cook indoors. But if you're game for a different way of cooking your bird then I've got some easy and delicious recipes that will get cheers from your guests! 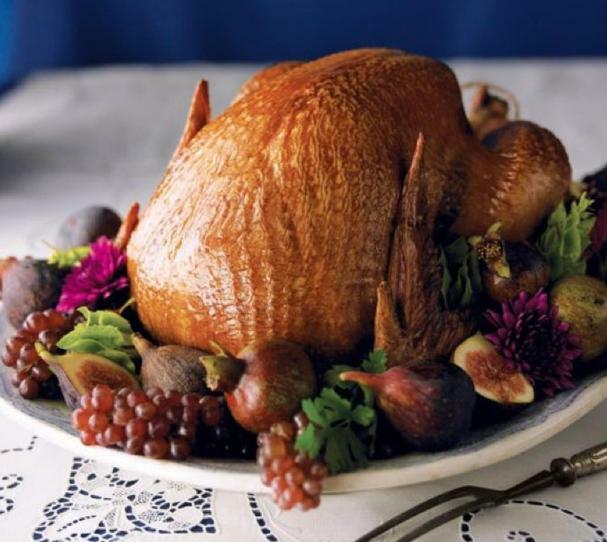 Brine Your Turkey: Soaking in a brine will flavor the bird as well as keep it moist. Learn how by watching this video. Flavor The Bird: Make sure to adequately salt and pepper the turkey and fill the cavity with aromatic vegetables, herbs, and lemons. Dry the Skin Before Roasting: Don't forget to pat down the turkey before putting it in the oven. The excess moisture will prevent the skin from getting crisp. (This does not include fat). Use a Thermometer: A thermometer is the best way to check for doneness. It should register 165 degrees F in the thickest part of the bird. Start the Oven High and then Lower the Temperature: Start the turkey at 425 degrees F to help crisp the skin for 20 minutes and then lower to 350 degrees F until cooked through. 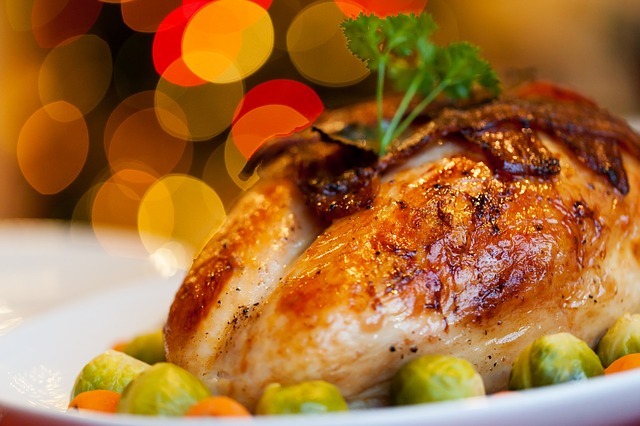 Let the Turkey Rest Before Serving: Letting the turkey rest allows the juices to redistribute so that it will be moist and flavorful (this goes with any meat!). 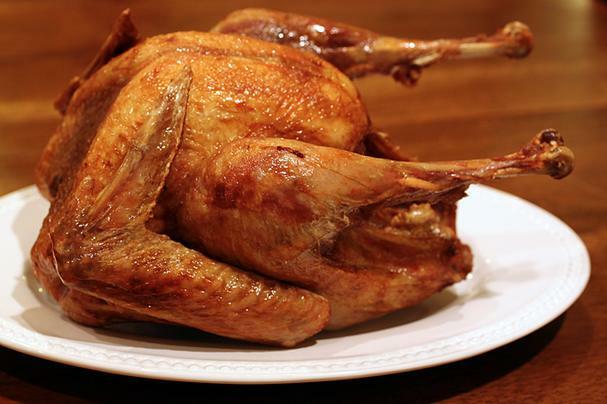 This delicious maple-flavored turkey is cooked low and slow, suspended over flavorful liquids. It yields a juicy, crisp, golden bird every time. Even first-timers can follow these simple instructions and look like a Thanksgiving maven. Click here for the recipe and instructions. Slather your bird with garlic, olive oil, salt and pepper, stuff it with bay leaves, garlic, and an herbed butter (thyme, rubbed sage, oregano, basil, marjoram), then rub more herbed butter in between the skin and the meat. Your turkey will come out oh so herbaceously succulent! Click here for the recipe and instructions. If you plan on deep-frying your turkey and have never done it before, we recommend a proper turkey fryer like this one to do the job safely. Click here for the recipe and instructions. 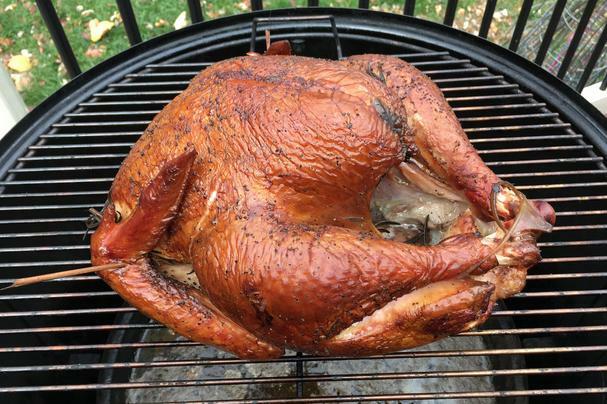 Smoking a turkey is super easy, especially with an electric smoker (we love the Oldey Smokey Electric Smoker as the flat top makes it so the juices drip back onto the food. You’ll use it smoker year-round! ), and this recipe doesn’t get any easier. Click here for the recipe and instructions. 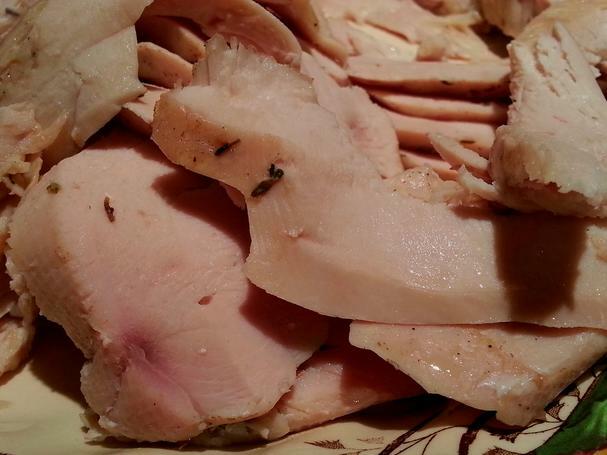 I know, we’re totally in the minority here by cooking our turkey sous vide (long and slow in a temperature controlled water bath), but trust me, you’ve never had juicier breast meat than sous vide breast meat! The thighs come out darn good, too. Click here for the recipe and instructions.